Hannah lives in a village that used to be very beautiful and peaceful, but things have changed recently and everyone is living under a terrible threat from a dragon. It comes out at night and is burning everything in the village. The mayor has given the people a great big shining sword for some brave person to take up the challenge and fight the dragon. It is left lying on the rock in the village square. Things have become desperate and the village must be saved from the dragon which is destroying everything. Nobody else is brave enough until Hannah finds the courage and does the almost impossible. But of course nothing is altogether impossible when you are doing something for the ones you love. She takes it upon herself to save them all from total ruin, picks up the heavy sword and goes to meet the dragon in face-to-face combat. 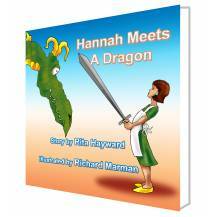 When Hannah meets the dragon all the mysteries are solved. The mystery of what happened to the handsome prince and his beautiful wife and where the rock in the village square came from. She also finds the reason why the dragon only came out at night. But just who is the Green Witch? The villagers began talking about those happy times and wanted them back again. Eventually the mayor called a meeting. Someone has to slay the dragon and free us from this menace, he announced. He put a shiny sword on the big rock in the village square. Is anyone brave enough to take this sword and go up to the dragons cave and slay him while he sleeps? he asked. But sadly, no one had the courage. Hannah was a pretty girl who lived with her parents in one of the beautiful cottages at the center of the village, close to the big rock where the sword lay. She loved to play with the other children in the evenings or pick flowers that grew along the paths. Until now the children had been happy, secure and free. But all that had changed. The children no longer played in the square, where they used to romp with their pets or kick a football. Sometimes theyd sung and made flower garlands for their hair. Whenever Hannah was afraid, she climbed onto her fathers lap. He would put his safe arms around her, hug her tightly and kiss the top of her head. Hannah, fear only lasts while you try to run from it, hed say. If you turn and face your fear, it will seem to shrink. Once you do that, fear will no longer have a hold over you. Rita Hayward grew up in South Africa and currently resides in New Zealand. She has a passion for conservation and wants to help young children to become passionate about it too. 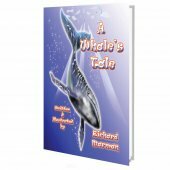 The books she writes are for the very young, to encourage them to learn about wild animals and to use their imaginations for what may be possible in their own lives. She is also author of the books in the "Michael and Black" series. 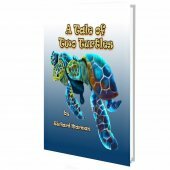 Look out for "Michael and Black Go Fishing", which will be out soon, where Michael and Black see the reptiles in the river. 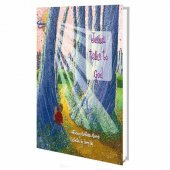 He has also illustrated a series of children's books by Judith Bandidt.